Felix and Angie Morales. Courtesy of Karen Warren and the Houston Chronicle. Image available on the Internet and included in accordance with Title 17 U.S.C. Section 107. MORALES, FELIX HESSBROOK (1907–1988). Felix H. Morales, entrepreneur, radio personality, and civic leader, was born in New Braunfels, Texas, on May 27, 1907. He was one of ten children of Felix and Hillary (Hessbrook) Morales. He attended racially segregated schools during most of his childhood. After his father died, Morales contributed to the family's income by working as a shoeshine boy, selling newspapers, and later doing construction work at the dam at Gingham Mills. When he was still in his teens, he moved to San Antonio, where he delivered newspapers for the San Antonio Light, worked at his brother Andrew's funeral home, and managed his own six-cab taxi business. On March 12, 1928, he married Angeline Vera in San Antonio. They had one son. Morales Funeral Home, Houston. Courtesy of the Morales Funeral Home. Image available on the Internet and included in accordance with Title 17 U.S.C. Section 107. Morales Emergency Ambulance, circa 1930s. Courtesy of the Morales Funeral Home. Image available on the Internet and included in accordance with Title 17 U.S.C. Section 107. In 1931 Morales sold the taxi business, moved to Houston, and with a $150 loan from his brother opened his first funeral home, at 2701 Navigation Street in the Second Ward. The first years were difficult because of the Great Depression, during which the Morales Funeral Home donated services to many poor families. Unable to purchase the equipment he needed, Morales built caskets himself, and Angie spent hours sewing clothes for the deceased. During these years she also served as an interpreter in court cases. After the depression, the funeral home was moved to new, expanded facilities at 2901 Canal Street. In 1940 the family also purchased ten acres of land off Aldine Road for a cemetery. 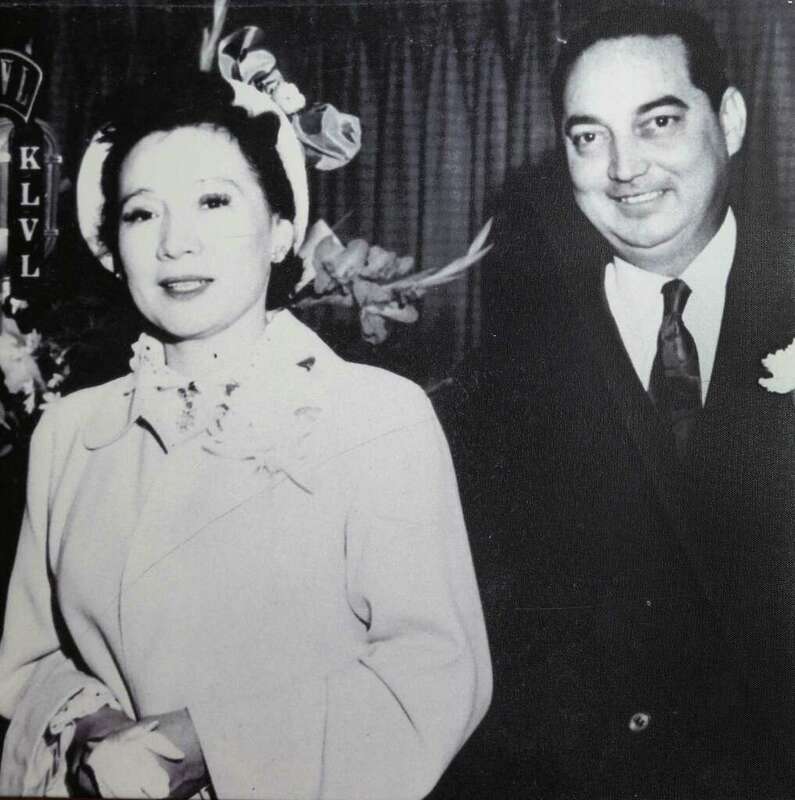 Both Felix and Angie returned to school and graduated from the Landig School of Mortuary Science, in 1936 and 1942 respectively, and received their state licenses as embalmers. Poster for KXYZ Radio Station. Image available on the Internet and included in accordance with Title 17 U.S.C. Section 107. KLVL Radio Station Opening featured in a newspaper. Courtesy of the Morales Funeral Home. Image available on the Internet and included in accordance with Title 17 U.S.C. Section 107. Now financially secure, Felix moved toward owning a radio station. He had previously produced his own show at a station in San Antonio. 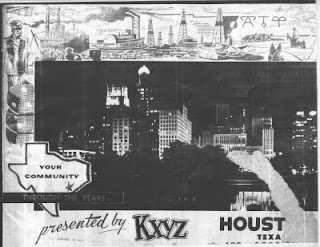 Before investing in a station in Houston, he studied the market, purchased time from radio station KXYZ, sold it to advertisers, and produced a Spanish-language radio program. At first the program aired for only one hour a week, at 11:00 P.M. each Saturday night; but over a period of years it became a nightly program of news, interviews, and both live and recorded music. Often, when musical groups failed to arrive for their scheduled performances, Felix picked up a guitar and played himself. The FCC, however, soon ruled that radio stations could not sublet time to outside purchasers, and so in 1942 Morales applied for a permit to operate his own station. Due to World War II, the application was delayed until 1946, and the permit was not granted until four years later. 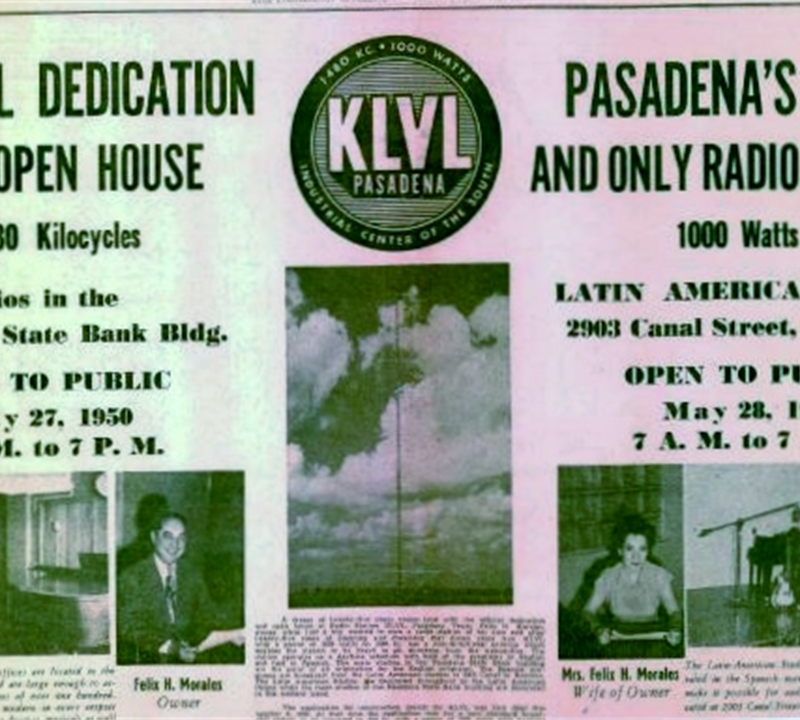 The station, KLVL–AM in Pasadena, officially went on the air on May 5, 1950, to celebrate both Cinco de Mayo (see FIESTAS PATRIAS) and Angie's birthday. During the first few years, the station operated only during the day, but the permit was eventually extended to authorize a seven-day, twenty-four-hour operation. 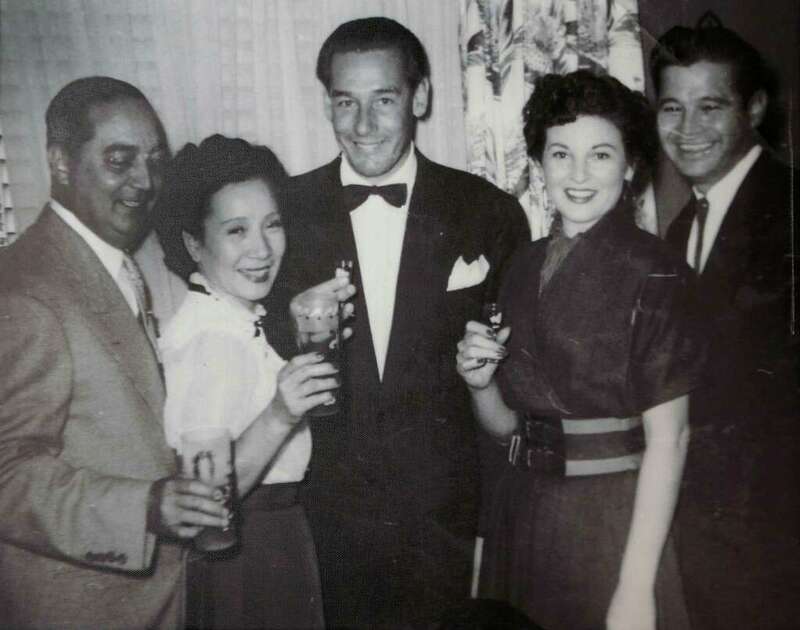 Felix and Angie Morales with Mexican star Tito Guizar at KLVL Radio Station in the 1950s. Courtesy of the Houston Chronicle. Image available on the Internet and included in accordance with Title 17 U.S.C. Section 107. Radio Station KLVL, "La Voz Latina," became the first Spanish-language radio station to cover news for the Gulf Coast area and soon established a reputation for community service. Apart from various news, education, and music programs, KLVL produced such programs as Yo necesito trabajo ("I need a job"), during which unemployed persons called in and received job referrals. Angie Morales also produced a program entitled Que Dios se lo pague ("May God reward you") in which she asked her listeners to assist needy cases in the community. In 1954, KLVL collected more than $10,000 and eight carloads of food and clothing to help victims of the lower Rio Grande valley flood, prompting one man, Juan Francisco Hernández, to write a corrido (see CORRIDOS) in honor of the Morales family and KLVL. Because of its commitment to service in the community, the station was dubbed "la madre de los Mexicanos." 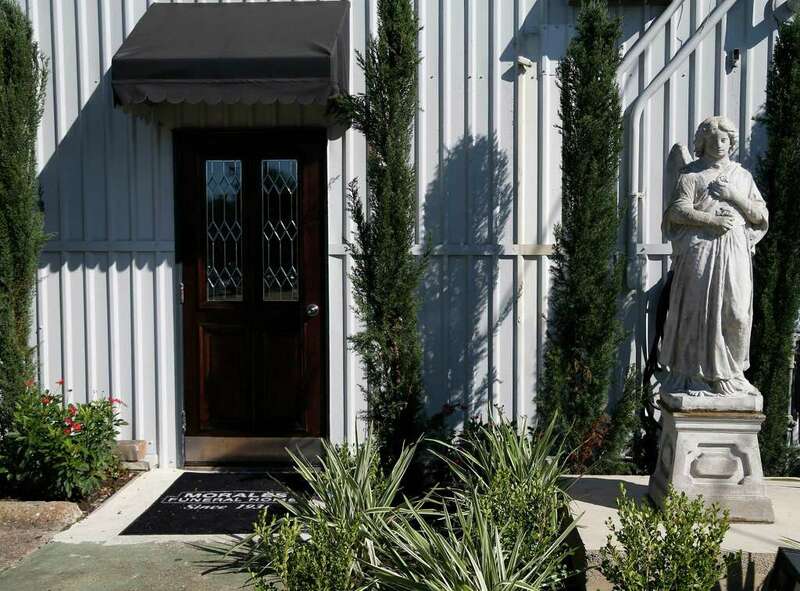 The Morales Radio Hall opened in 2015, once the headquarters of KLVL Radio Station, located in the parking lot of the Morales Funeral Home. Courtesy of Karen Warren and the Houston Chronicle. Image available on the Internet and included in accordance with Title 17 U.S.C. Section 107. 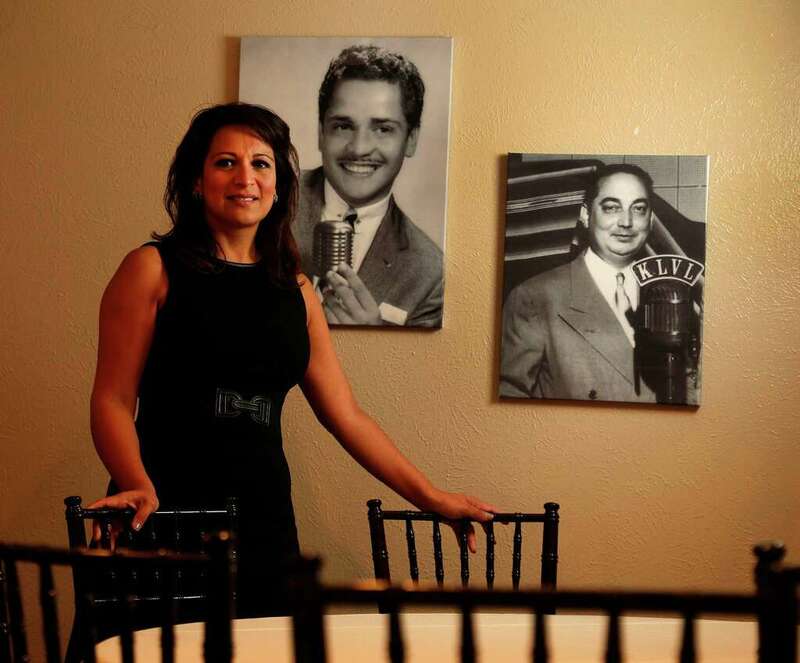 Christina Morales, owner of the Morales Radio Hall, stands next to photographs of her father, Joe, and her grandfather, Felix Morales, 2015. Courtesy of Karen Warren and the Houston Chronicle. Image available on the Internet and included in accordance with Title 17 U.S.C. Section 107. Catering to Houston's large Hispanic community, KLVL broadcast news and music from all over the Americas. Immensely popular were the daily radionovelas, or soap operas, as well as the dramatizations of historical events. The station also sponsored top stage shows from Mexico, which played at the Music Hall and Coliseum. Local social and civic clubs, such as the Club Cultural Recreativo México Bello and the various sociedades mutualistas (mutual-aid societies) advertised their news and social events on KLVL, as did schools and sports teams. Each day at noon, the programming was momentarily silenced so that Father Patricio Flores, later archbishop of San Antonio, could offer a prayer for peace. The Morales family also operated KLVL-FM, which was sold in 1969. In 1978 they opened an FM station in San Antonio, KFHM (for Felix H. Morales). The station, also known as "Big M" or "La Voz del Mercado," was a bilingual radio station. KHFM also continued the custom of sponsoring live performances of musical groups from the United States, Spain, and Mexico. 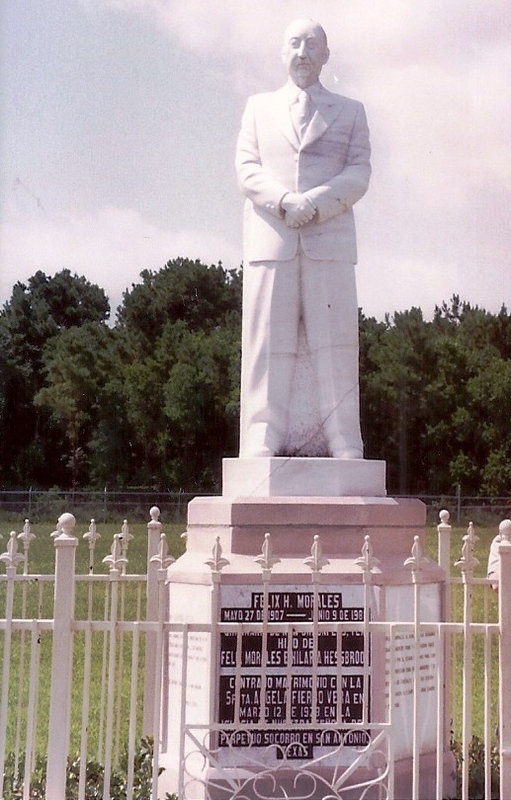 Statue of Felix H. Morales in the Santa Teresa Cemetery, Houston. Image available on the Internet and included in accordance with Title 17 U.S.C. Section 107. Morales was a member of the Texas Association of Broadcasters and the National Association of Broadcasters. In addition, he was a founding member of the League of United Latin American Citizens Council Number 60, a board member of Unión y Progreso Barrio Development of Houston, president of the Sociedad Unión Fraternal, and an honorary member of the Sociedad Mutualista Obrera Mexicana and the Club Cultural Recreativo Mexico Bello in Houston, as well as the Asociación de Charros de San Antonio. He received numerous awards as a big-game hunter and fisherman, including the Houston Press's Outstanding Hunter award in 1959. He was also honored as one of 500 successful Hispanic businessmen in the nation. Scholarships have been established in his name in schools in Houston, Pasadena, Three Rivers, and New Braunfels. An elementary school in Pasadena was named for him in 1991. Morales's son José, program director at KLVL and a well-known radio personality, assumed charge of the Felix H. Morales and Son Funeral Home. The Morales family owned homes in Houston and Three Rivers, as well as a ranch in Wentz. Morales died on June 8, 1988, and was buried at the Morales Cemetery in Houston. Houston Chronicle, June 10, 1988. Houston Post, August 5, 1973; June 10, 1988. Houston Press, June 8, 1963. La Crónica (Laredo), February 24, 1974. Texas Catholic Herald, September 27, 1968. Handbook of Texas Online, María-Cristina García, "MORALES, FELIX HESSBROOK," accessed April 23, 2019, http://www.tshaonline.org/handbook/online/articles/fmobk.